Waiting to board a HART, or orbital drop pod. 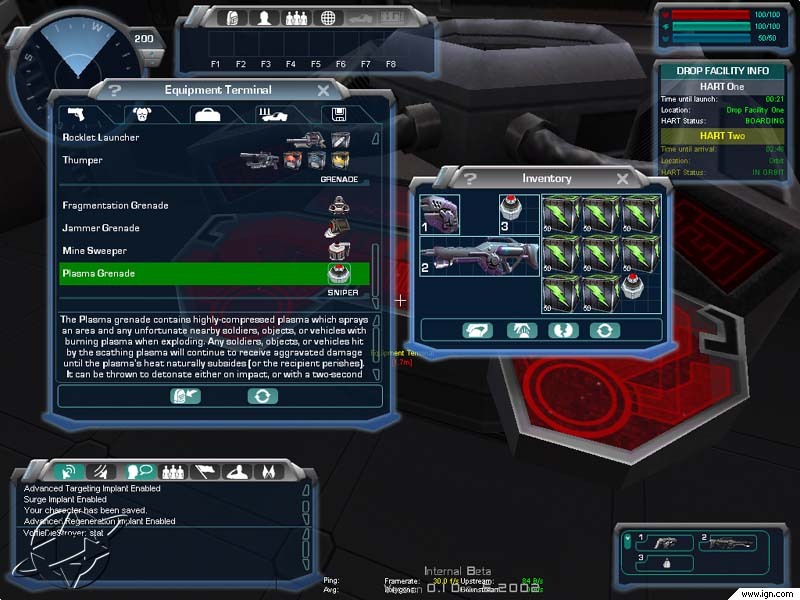 Vanu inventory managment screen at an equipment terminal. 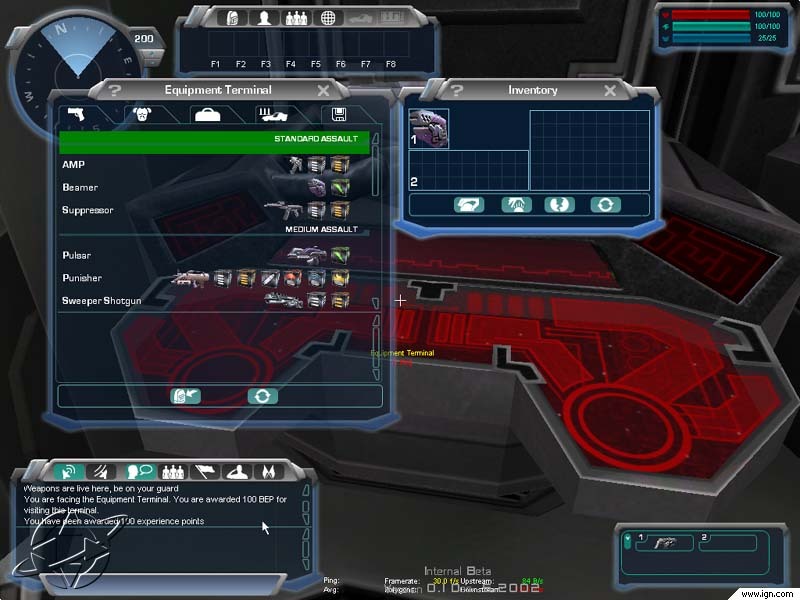 View of a Implant terminal. 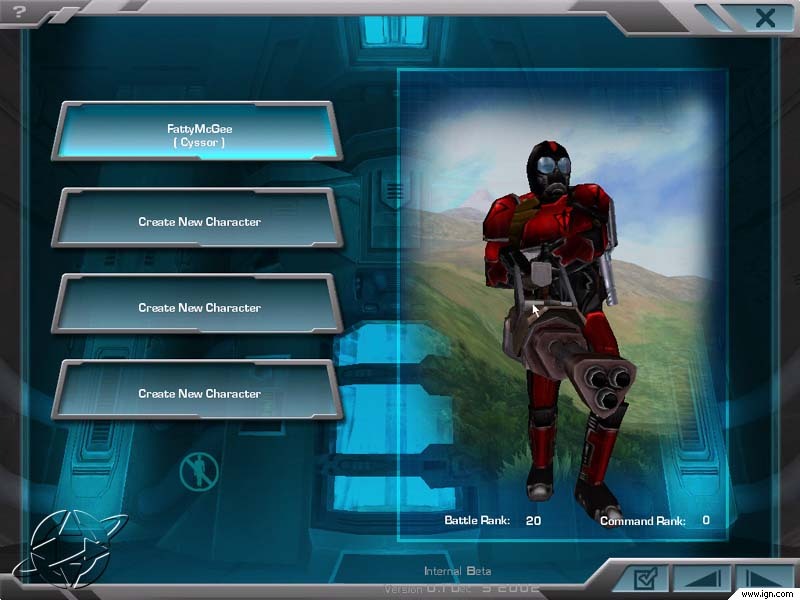 When you enter it allows you to choose which implants you wish to equip your players with. 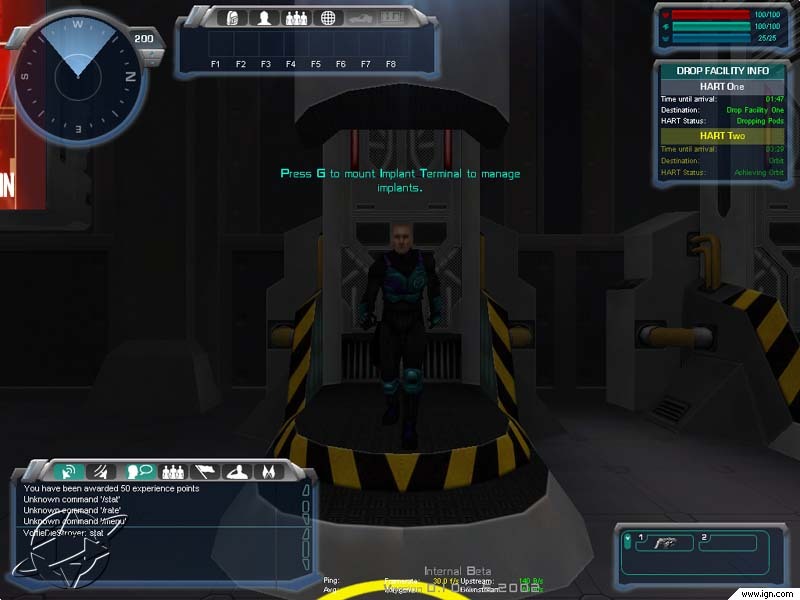 Inventory managment screen at an equipment terminal. 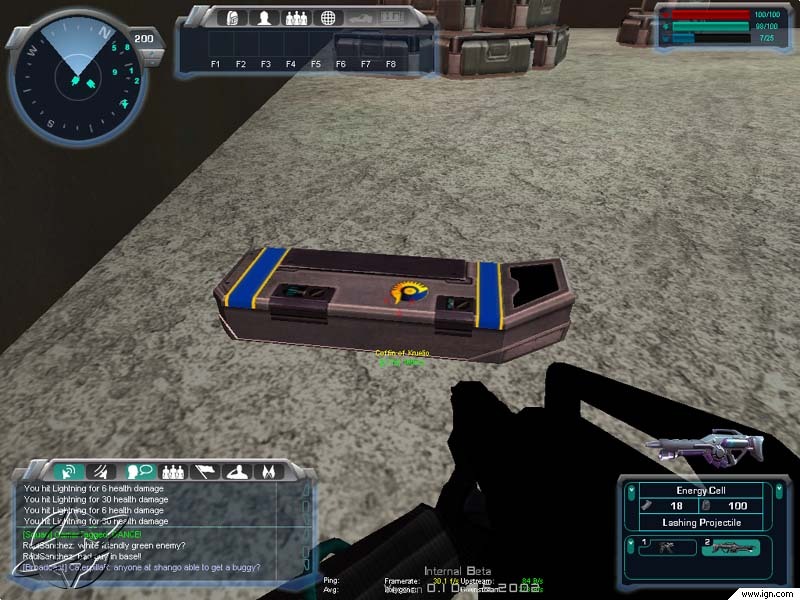 This is a player coffin. When a player dies and chooses to respawn a coffin is left behind. Which can be looted. 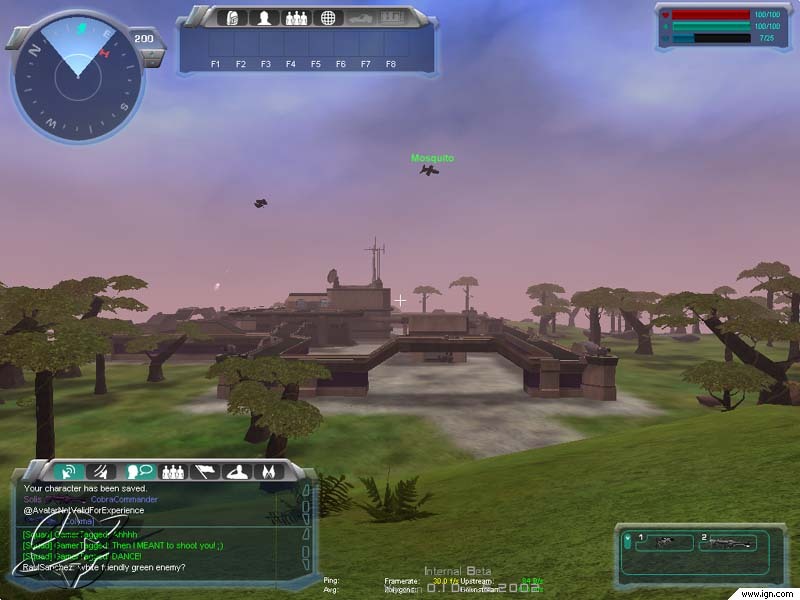 Overlooking a base, in the sky on the right is a mosquito, in the distance on the left is a reaver. 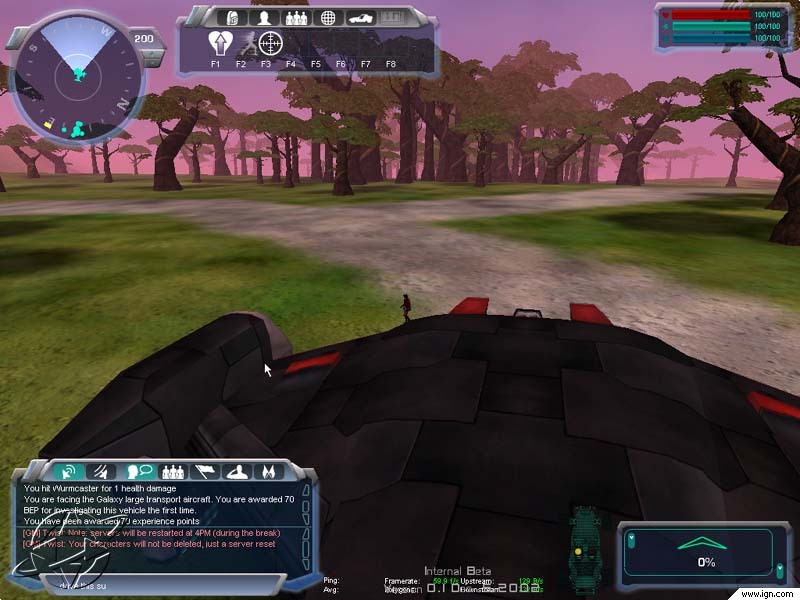 This is a view of a player exiting a base turret. 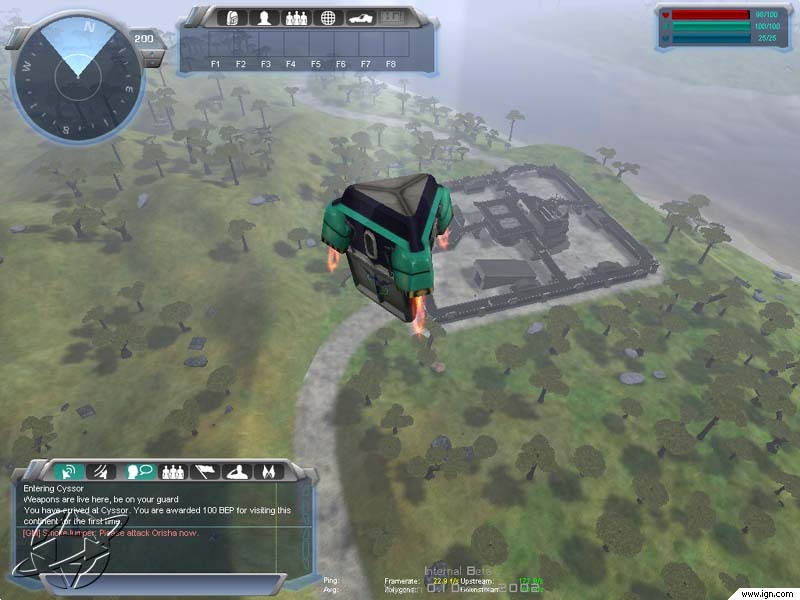 Orbital drop pod coming down from the HART system. 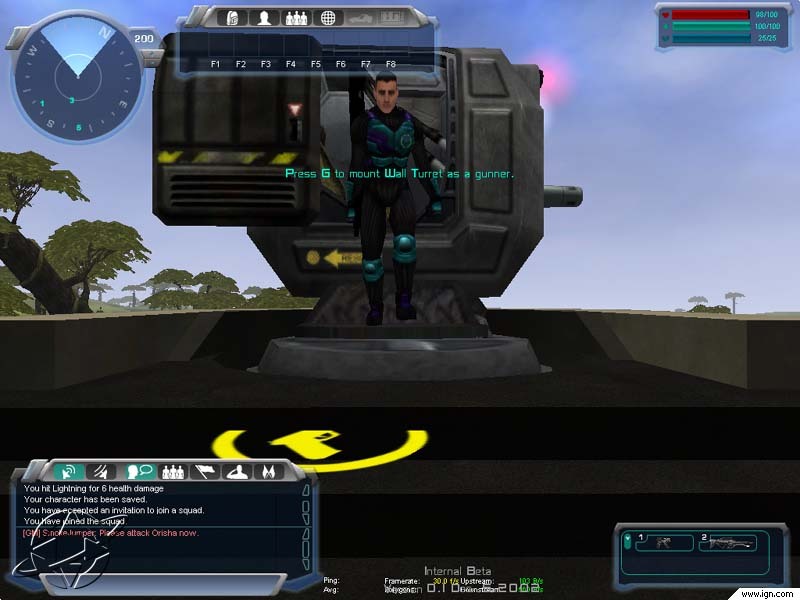 Player controlling a base turret. 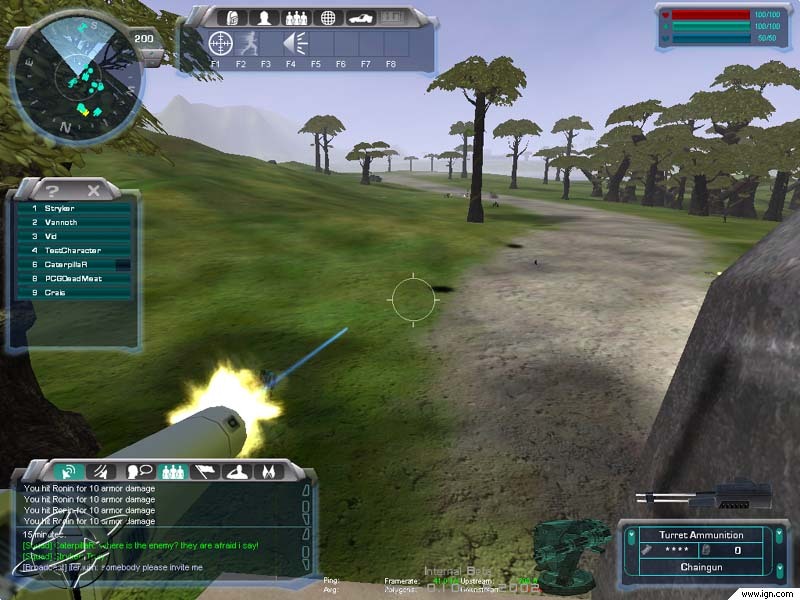 View of a player controlling a base turret. 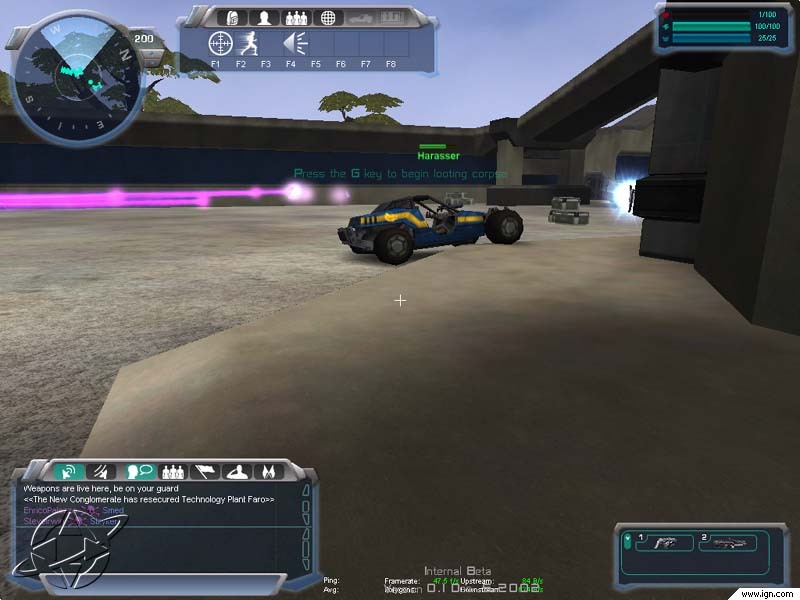 View of a New Conglomerate Harasser inside a base. 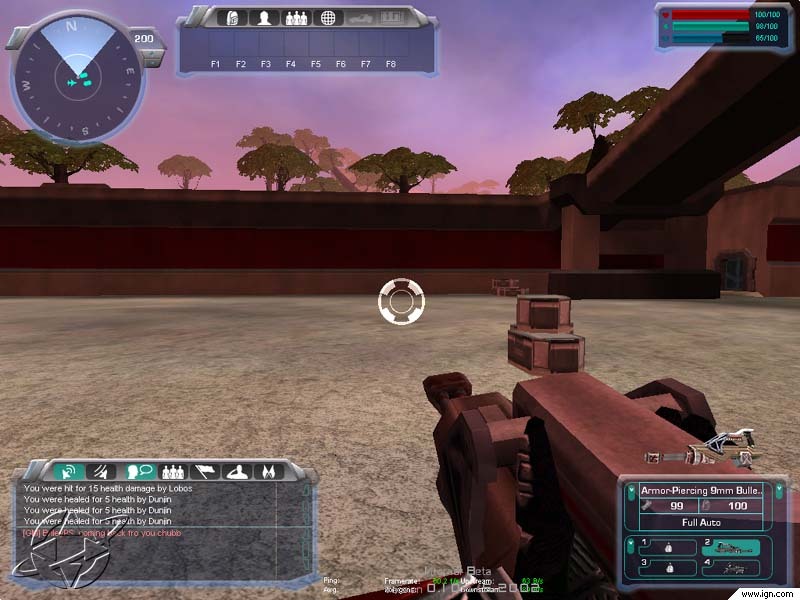 In the background there are some Vanu Energy weapons firing. 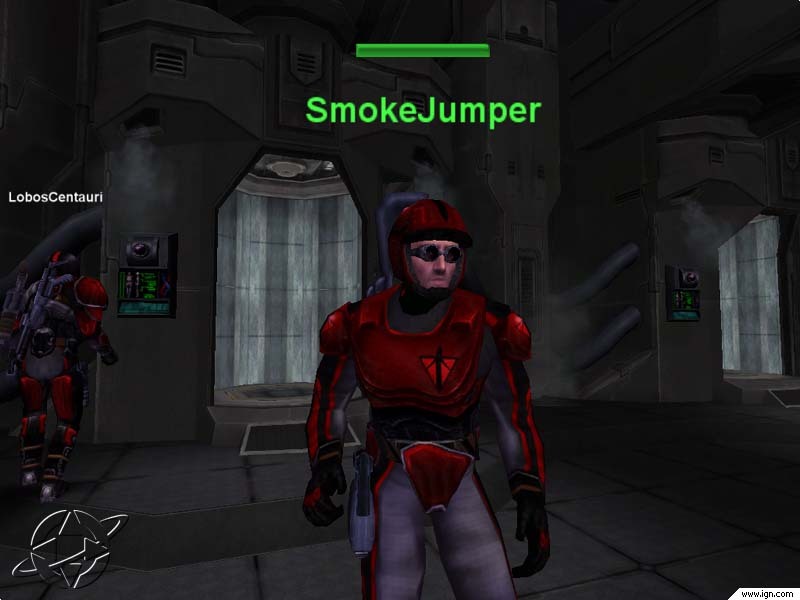 Screenshot of Dave Georgeson in Light Armor. 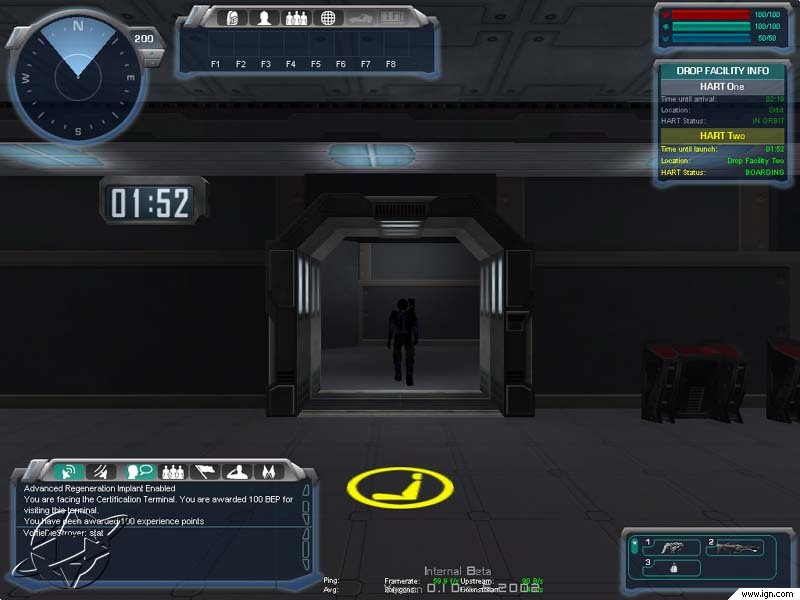 Interior of a base respawn room. 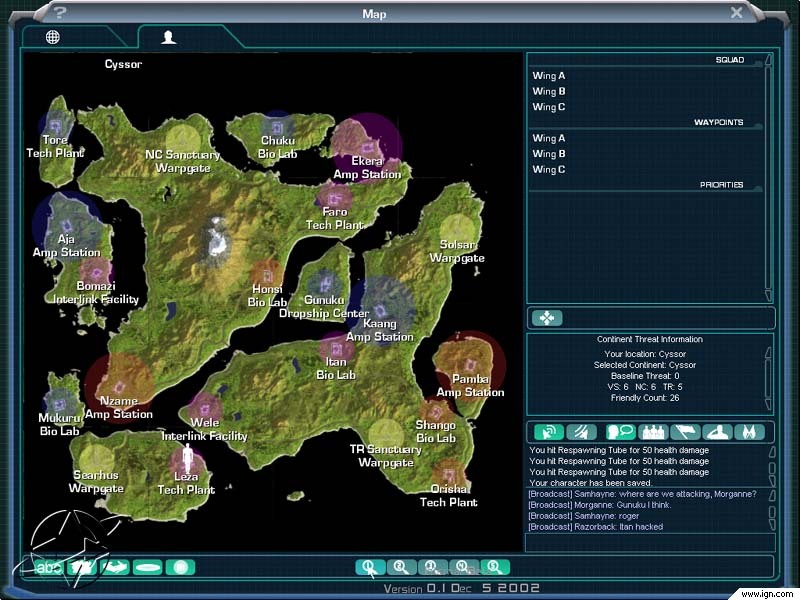 Screenshot of the Continent map, Cyssor. 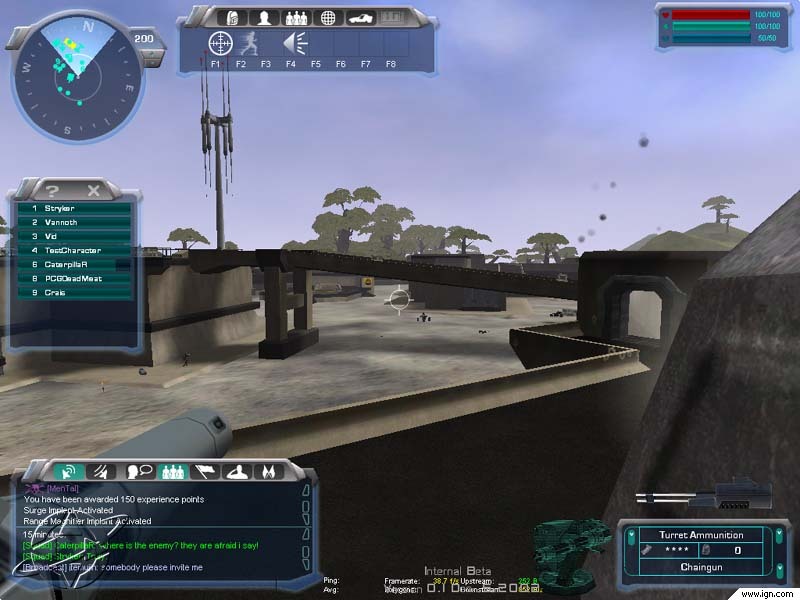 View of a respawn tube. 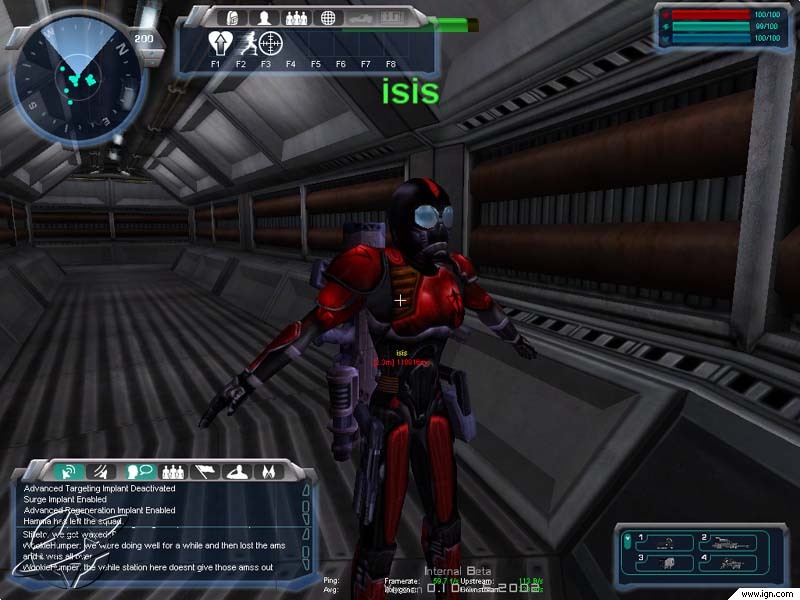 Gameplay screenshot inside the walls of a base.